Hey kids, have you ever wondered from where Santa Claus brings new toys every Christmas and does he work alone or someone helps him? 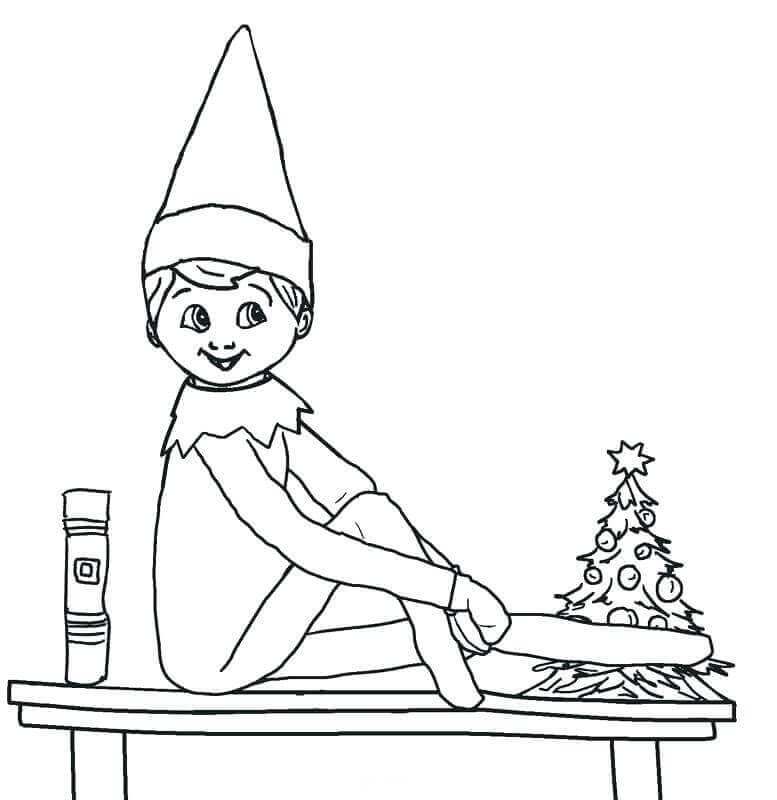 It’s the elves who help him, so we’ve got a collection of free printable Elf on the Shelf coloring pages for our readers. Christmas is a winter festival which is celebrated all over the world together with family and friends. Family members and friends come together to celebrate by way of prayers, exchanging gifts, enjoying delicious foods, having fun and other such activities. As we indulge ourselves in such activities with our near and dear ones, Santa Claus is also accompanied by his family and other members who help him in a great way to make Christmas cheerful every year. Mrs. Claus, Elves, reindeer, etc. 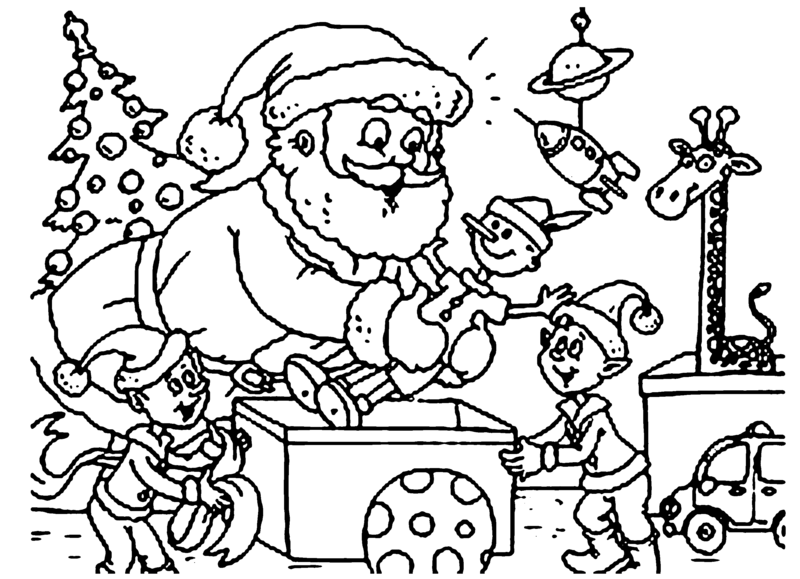 are some mythological characters who help the Santa in accomplishing the task of delivering gifts every Christmas. Santa Claus lives at the North Pole from where he comes to us at Christmas. 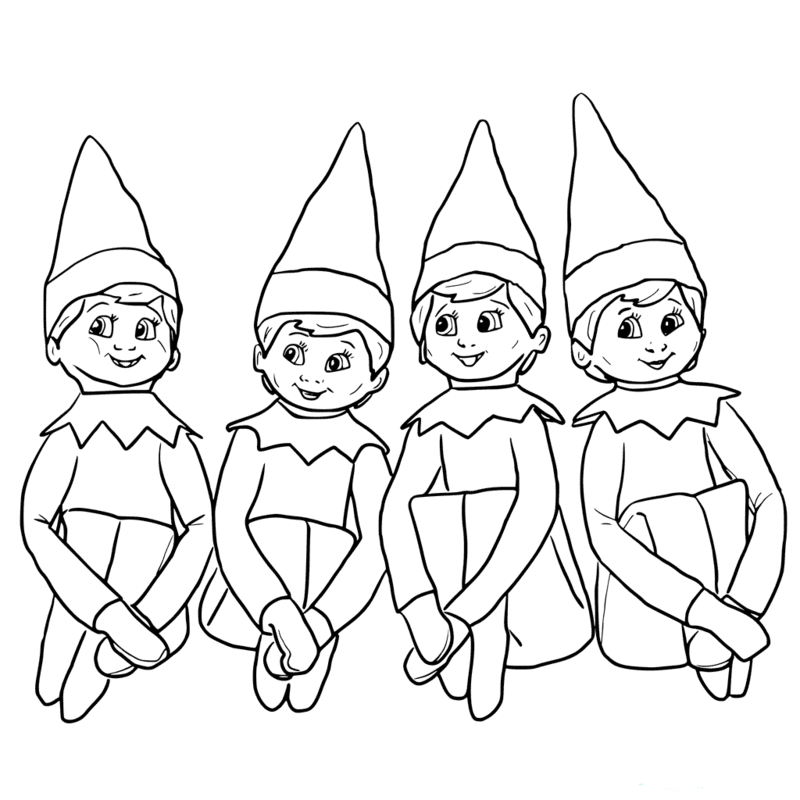 The elves, that are diminutive creatures, also live at the North Pole with Santa and acts as his helper. The toys that Santa brings with him are believed to be made by these little elves in the workshop. They are also said to take care of Santa’s reindeers and wrapping gifts. Though they are short in appearance, they are possessed with magical powers. 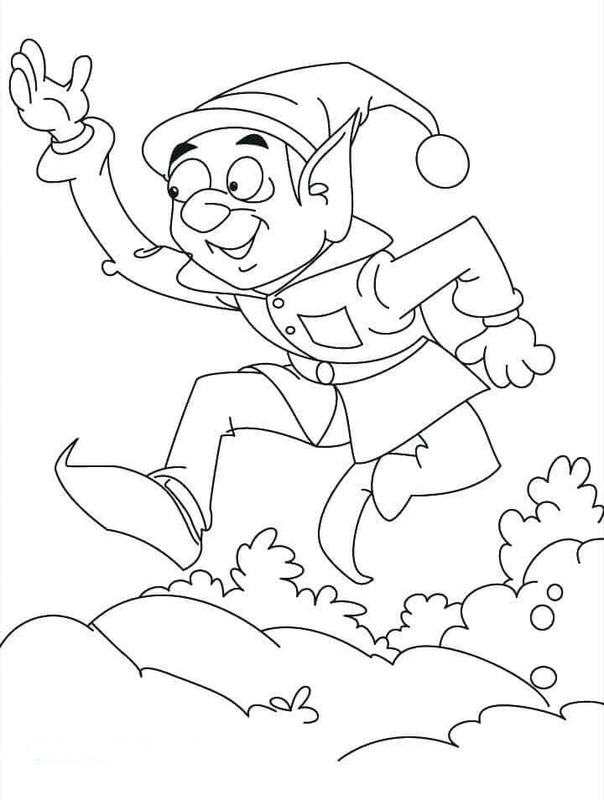 Let’s check out free Elf on the Shelf coloring sheets to print below. This baby Elf is jumping with joy as Santa has asked him to get ready for Christmas celebrations. This Christmas is very special for the little one as he would get the opportunity of wrapping gifts and tying bows on gifts. His joy will be doubled when Santa will present him a gift. Santa has already gifted him his cap to fuel his enthusiasm. 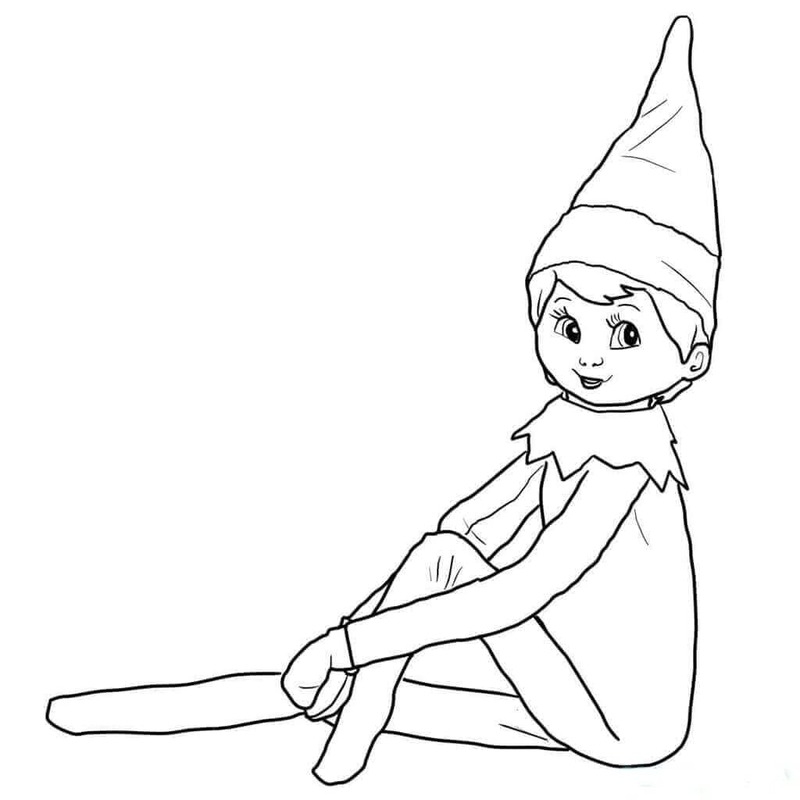 Color the baby elf to enhance his mood. The Christmas season is fast reaching and the Santa’s toy workshop is in full swing. The elves have taken the position to craft toys so that Santa can gift them in Christmas. This elf is busy crafting the hand of the toy. Once it is done the toy will be sent for packing. But before packing adds some color to it to make it look even more beautiful. The three elves have crafted so many toys throughout the day. While other elves are busy in packing the toys it is time for rest for these three. Their contended face shows that they have done their work diligently. 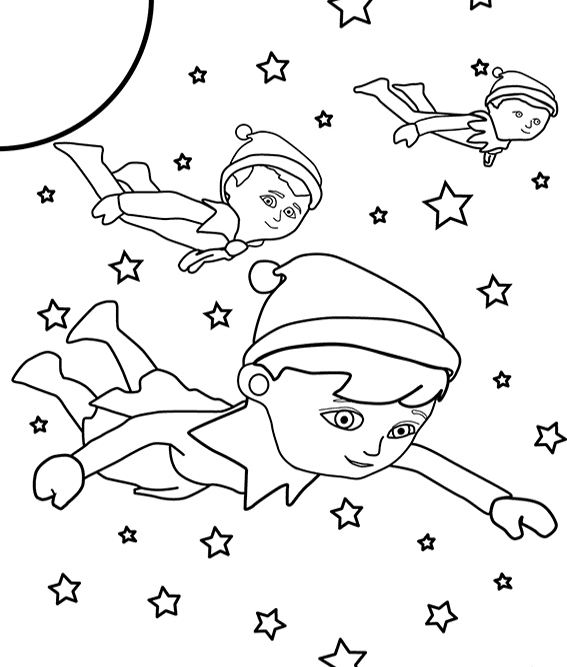 You can also feel satisfied after coloring these elves. Do you know Elves are gifted with magical powers and they can craft toys too? Here is a chance for you to craft an elf and show your power. Just join the scrambled pieces correctly to form an Elf. Santa is waiting for this Elf for some assistance. 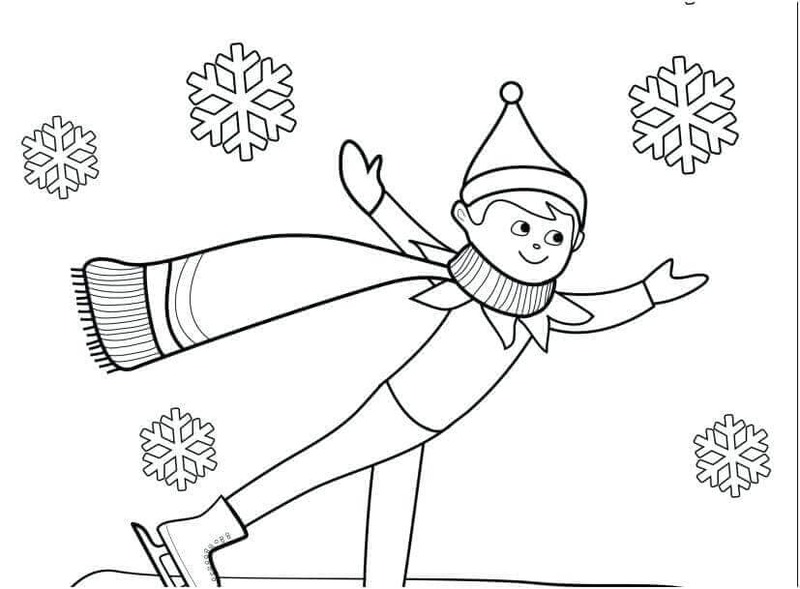 As you have joined the scrambled pieces correctly, the Elf is ready to move to the North Pole. But before he moves why you don’t add some colors to it so that Santa will be pleased to know that you have done it. The elves have magical powers which they sometimes use to fly. They are coming to our homes to inspect our activities. If you want a good present from Santa, then practice good habits a good behavior is liked by all. These elves will report our activities to Santa who will then decide who is goo who is bad. 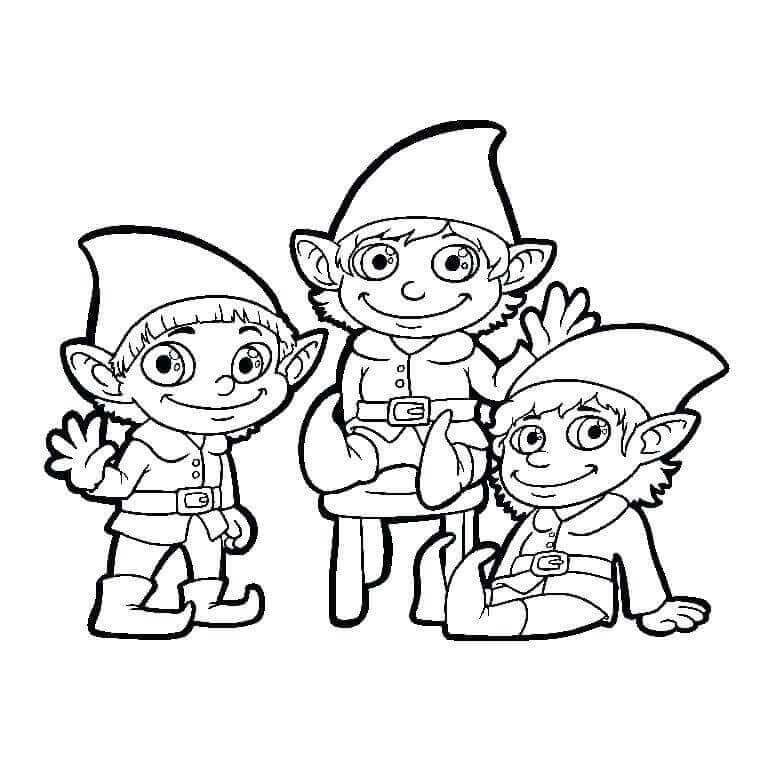 You can make these elves happy by coloring them. An Elf can be a boy or a girl and both have magical powers. This girl Elf is getting ready for the Christmas celebrations but she is looking for something. She is very fond of colors and loved to be dressed colorfully. She is inviting you to add colors to this image. These little elves are the strength of Santa as they work untiringly to make sure all the arrangements for Christmas celebrations are done accurately. They craft the toys, put them in boxes, pack them and hand it over to Santa so that Santa could reach us with a bag full of gifts. You can also join in their celebration with your colors. This little elf has already made two toys and is working on the third one. This trend is followed every year during Christmas when Santa gets ready to pay visits to our home with gifts. 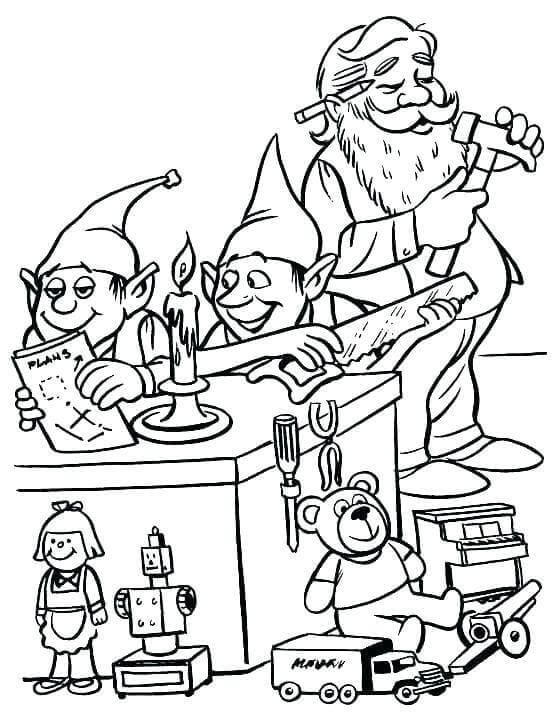 While he is busy making toys you can color these toys to assist the little Elf. Christmas is an occasion when we exchange gifts with our near and dear ones. 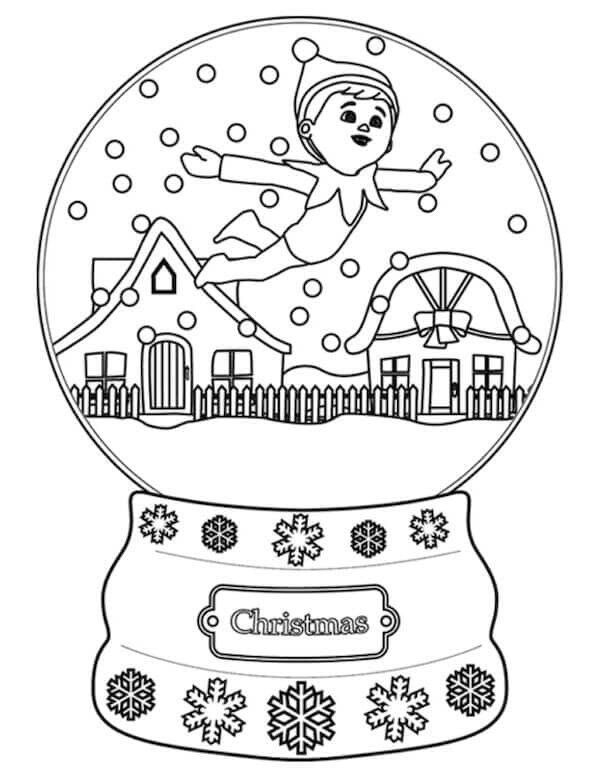 This gift piece is a beautiful item and it could become more beautiful if you give it some lovely color and once it is colored, make sure you gift it to your friend. Mini has dressed beautifully and is ready to play her part in the stage show based on Santa and his elves. She looks adorable while she poses for a perfect picture. Let’s make her picture colorful for a sweet memoir. This is the personal table of the Elf which he will use to craft new varieties of toys peacefully. The Elf is very pleased to see his personal table and now he has put his mind to work. He is devising new ideas for new toys. If some bright colors are added to his table, he would be able to get creative ideas. This chubby Elf is up to his job and do you know what his job is? His job is the same as yours and that is coloring. 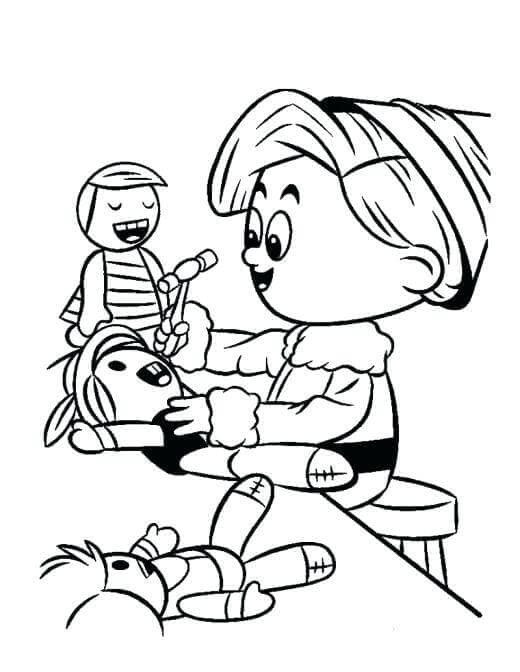 A big size brush and toy is all that he needs to color the toys made by other Elf. 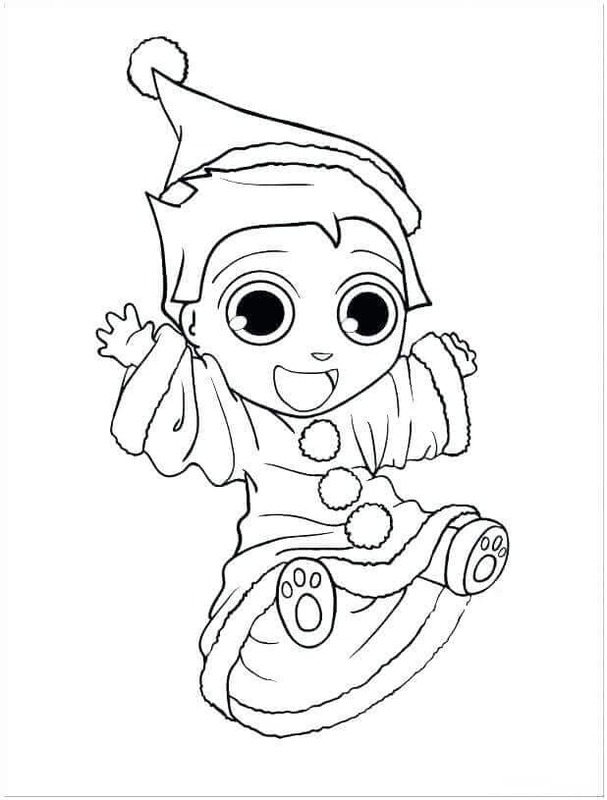 It is time for you to join him in coloring. Christmas is a time for merrymaking and having fun and these elves are no exception to this. These elves have come together to help Santa in their workshop and ready to cast their magical spell on the toys. This Elf is set to surprise everyone by his magic tricks. He wants to accompany Santa on his journey on Christmas. So he is getting ready to hide in the gift box and Santa will put this pack with other gifts. 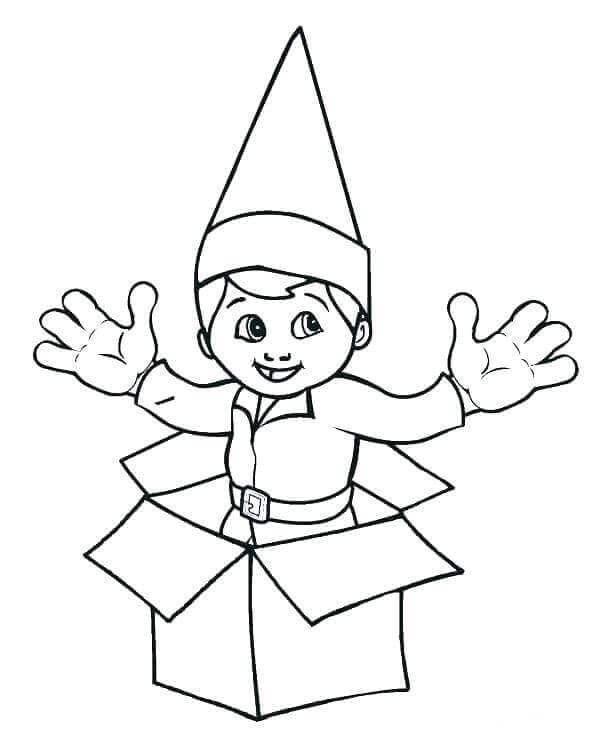 Before he hides in the box color him. During Christmas season it is said thousands of elves travel from the North Pole to their Christmas foster homes to watch the behavior of boys and girl. 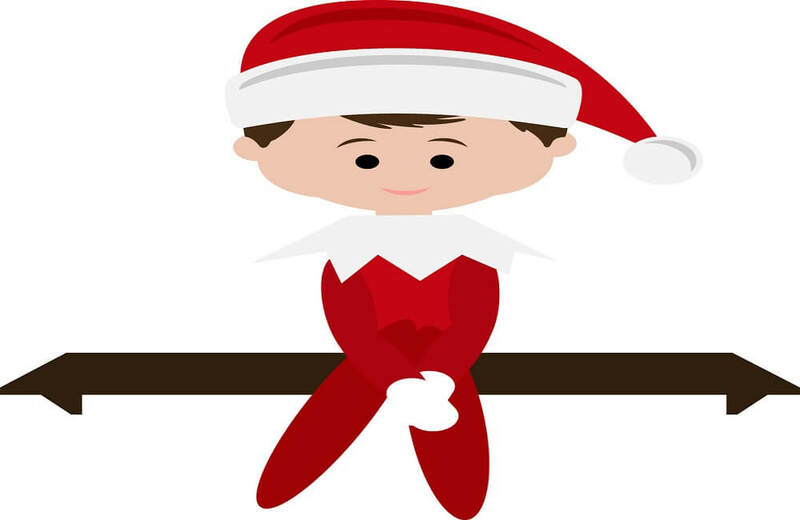 This Elf on the Shelf is surely watching you and you should show your best behavior. 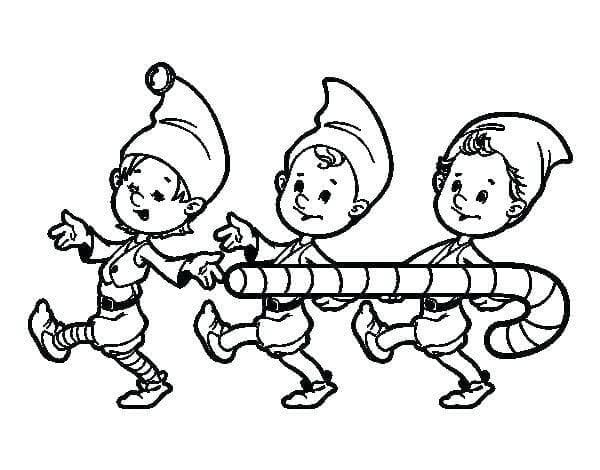 These little elves are brimming with Christmas charm as they march towards the workshop holding a big stick in their tiny hands. They are ready to lend a helping hand in the arrangement for Christmas celebrations. You can also join their brigade with your colors. The senior Elf has visited the workshop with the list of instructions to be followed by elves while performing their work. 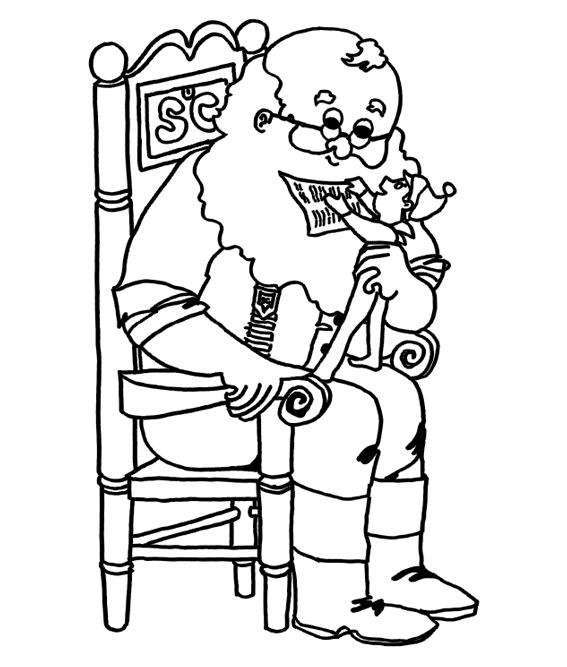 Santa Claus has given the instructions to the senior Elf and suggested him to supervise the work of fellow elves. The joy of this scout of Santa sees no boundaries. He has every reason to celebrate as the kids in his foster house have left a bowl of porridge and sugar syrup for him. The very sight of these items makes him excited and he finds it tough to control his emotions. Add some color to showcase his real emotions. It is not that elves are busy designing and crafting toys, looking after reindeer, etc. they indulge themselves in some interesting activities in free times. This Elf is enjoying the season’s first snowfall and has come out to enjoy skiing. His muffler would protect him from the biting cold of Chilly December. This Elf on the Shelf is happy to watch out the activities of the family members. He is happy to see the good behavior of the kids and will report the same to Santa so that Santa comes to your home with your gift. Make him happier by adding color to this image. Elves not only craft good toys but they can play instruments with the same efficiency. 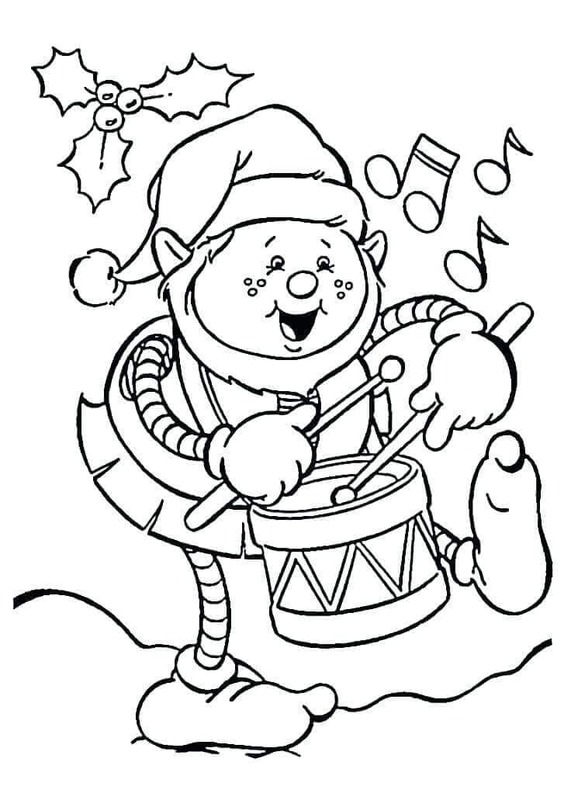 The beating of the drum will make you dance along with the Elf. The beat of the drum is a signal for the reindeer to get ready to travel around the world with Santa. He is good in his work and you too can show your talent of coloring. These elves have come from the secret village to see the celebrations of the Christmas. They are happy to see that people are enjoying with their family and friend and thanking Santa for the gifts. They will definitely mention in their report that the kids are well mannered and helping their elders in decorating their place. The Elf has years of experience in designing and crafting beautiful toys. He is ready for a Kodak moment with his artwork on display which includes all type of toys. He is expecting you to paint his toys with beautiful colors for an attractive look. Here Elf is not on the shelf but his work definitely is. 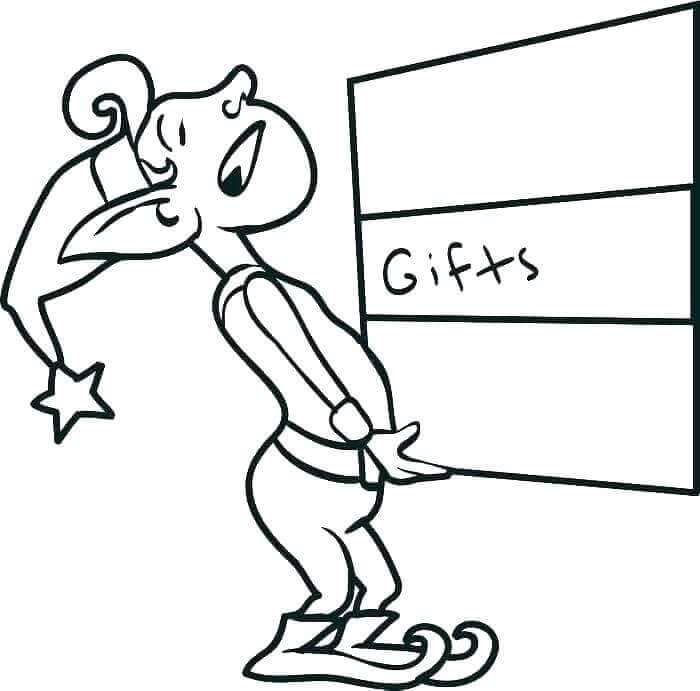 The elf finds the box of gifts very heavy and is expecting that the other boxes be lifted by other elves. The elf has to carry the box carefully as it stores the gift to be delivered by Santa. Ever wondered how Santa manages to carry the heavy bag of gifts that too in the biting cold of December. Undoubtedly, his good work is shared by his good helpers. The elves are of great help to Santa in his good deeds of fulfilling the wishes of children. Without their help, it would not have been possible for Santa to visit homes of kids with their requested gifts. 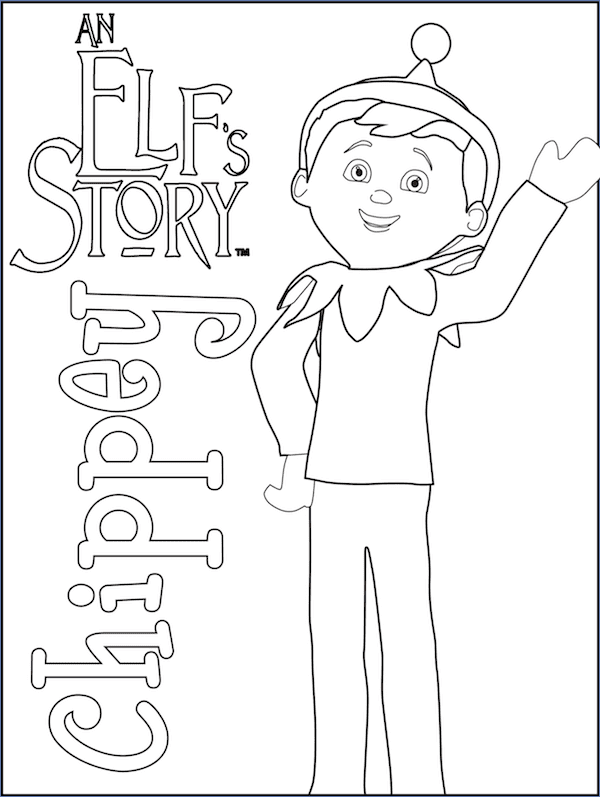 Chippey is one such wonderful craftsman who helps Santa every Christmas and this is his story. 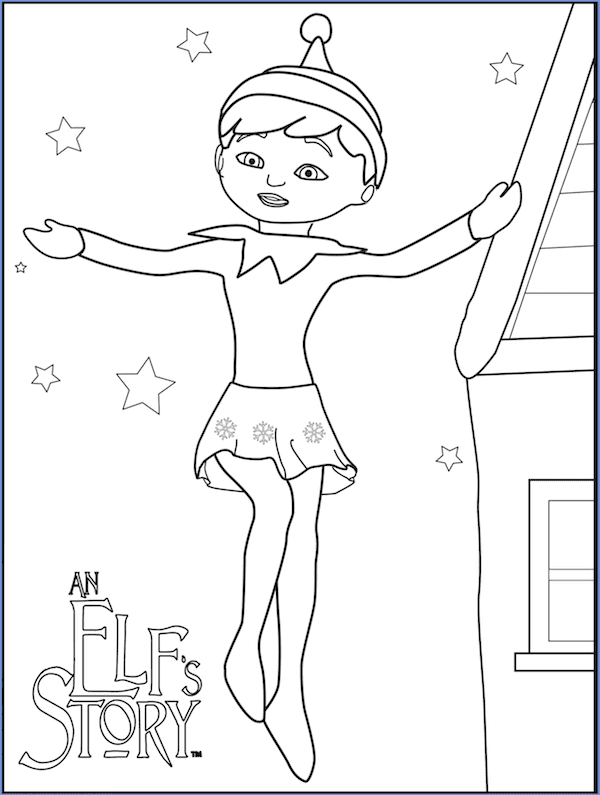 Show your gratitude for this Elf by coloring it pretty. It is not easy to design a toy of a particular choice. Santa has to fulfill the wishes of children who demand their desired toys. A lot of hard work, planning and helping hands are required to undertake this responsibility. But Santa is very lucky to have little elves by his side that are expert in their work and make Santa proud. Show how expert you are in coloring the image. It is the duty of the Elf to see that the reindeers of Santa’s sleigh are in good health. Santa is now free from his duty of delivering gifts to kids and he is now in a relaxing mood. While Santa is relaxing the elf is inspecting the reindeer to check its oral hygiene. The reindeer does not hesitate to show teeth as he daily brushes his teeth. The little Elf wants to show the Santa that he has completed the work and listed his work on a piece of paper. But he is too little to reach Santa so Santa’s lifts him up and look at the list. Santa has to put his glasses to see the small writing of the elf. Maybe the colors you give to this image helps Santa in some ways. 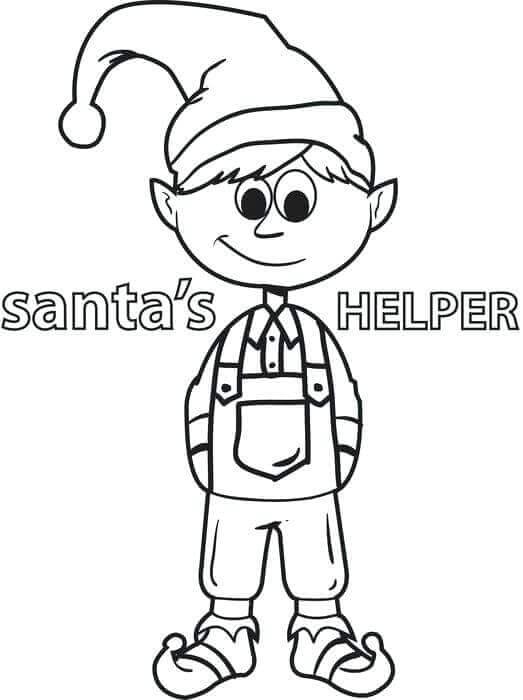 The best definition of elf is – Santa’s Helper as Santa does not have to worry when they are on duty. These elves are skilled and intelligent and possess magical powers which they showcase occasionally. The friendly and good-hearted elf deserves all the accolades and praise for their noteworthy work. Why not give some strokes of beautiful colors to the image for acknowledging their role in merrymaking? Now you know that your behavior during the holiday season is being watched by the Santa’s scouts. It is time for you to grab the opportunity to make Santa realize that you are a good child who never forgets to lend a helping hand in household chores, especially during festivals. Santa will definitely be pleased to know that and would gift you the requested present. The little elves are hiding somewhere inside the house and would catch you anytime red handed if you deviate from practicing good habits.